Patients and doctors must face a culture change to avoid unnecessary tests and treatments that could cause harm, Canadian medical groups say in launching a campaign called Choosing Wisely. Patients and doctors must face a culture change to avoid unnecessary tests and treatments that could cause harm, Canadian medical groups say. In launching its Choosing Wisely campaign Wednesday, the Canadian Medical Association said it's meant to help physicians and patients "engage in conversations about unnecessary tests, treatments and procedures," and help them make smart choices for high-quality care. "I think the most important impact is a culture change," said Dr. Wendy Levinson, founder of Choosing Wisely Canada, told reporters. "We have a belief in society that more is better, we buy big cars, big TV sets. We live in a culture of more is better and in medicine it's just not the best." "Instead of just talking about what are all the potential tests you can order, we now talk about what are the pros of the test, what are the cons of these test when is it appropriate, and when is it maybe not appropriate and even harmful to the patient," said Raman Srivastava, a second-year medical student at the University of Toronto, where the U.S. campaign is shaping their lessons. Since the U.S. campaign began in February 2012, specialists created lists of what doctors and patients should question, based on evidence of overuse, waste and potential harm. Don’t do imaging for lower-back pain unless red flags are present. Don’t use antibiotics for upper respiratory infections that are viral infections such as flu or sinus infections lasting less than seven days that are likely to clear up on their own. Don’t order screening chest X-rays or ECGs for people with no symptoms at low risk of coronary heart disease. Don’t screen women with Pap smears if under 21 years of age or over 69. Don’t do annual screening blood tests unless directly indicated by the patient’s risk profile. Otherwise, there could be false positive results that may lead to unnecessary tests. In the U.S., data suggests that almost 30 per cent of diagnostic tests, treatments and procedures might not add value, Levinson said, adding there aren't corresponding figures in Canada. For diagnostic imaging of lower back pain, hospital data from Edmonton and Ottawa suggests over half of requests for lumbar spine MRIs were inappropriate (28.5 per cent) or of uncertain value (27.2 per cent). Reducing inappropriate imaging is important to help patients get better quality care, said Winnipeg-based radiologist Dr. Martin Reed. "We are concerned that imaging is done for patients with lower back pain when it isn't going to help the patient at the time," said Reed. 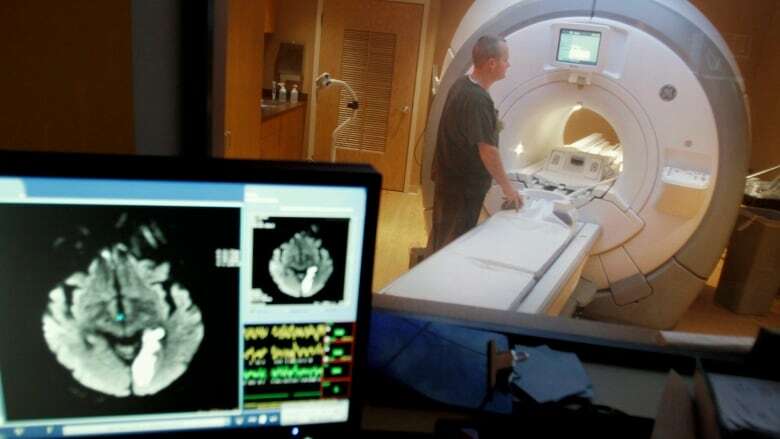 "There are risks to that imaging. Obviously if it is a CT scan for instance, the risk of radiation, but also there is the risk of finding other abnormalities that are not really relevant to the patient's problem." Beyond imaging for lower back pain, the radiology list addresses minor head trauma, uncomplicated headache, ultrasound rather than CT for appendicitis in children and ankle X-rays in adults. Sholom Glouberman, president of Patients Canada, said the group supports Choosing Wisely because it fosters a more collaborative relationship between patients, family members and doctors. "Some doctors are still pretty much protocol driven and tell the patient what to do rather than work with the patient," Glouberman said. "We think that patients should be partners. We don't think patients should just be engaged to doctors, we think that they should be married." The lists are prescriptive, not "never dos," so doctors and patients will still have flexibility, said Marisa Leon-Carlyle, a second year medical student at University of Toronto. Dr. Yoel Abells, a family doctor in Toronto, said often people have perceptions about tests or procedure from their own reading on the internet or from celebrities. "It is a challenge sometimes with patients to make them aware that no they don't need antibiotics for every cough and cold or they don't need an X-ray because their back is sore," Abells said. Canadian Association of General Surgeons. Canadian Medical Association Forum on General and Family Practice Issues together with the College of Family Physicians of Canada. Canadian Society of Internal Medicine. The Quebec Medical Association also launched the francophone component of the campaign, Choisir avec soin. Other medical schools will also participate.